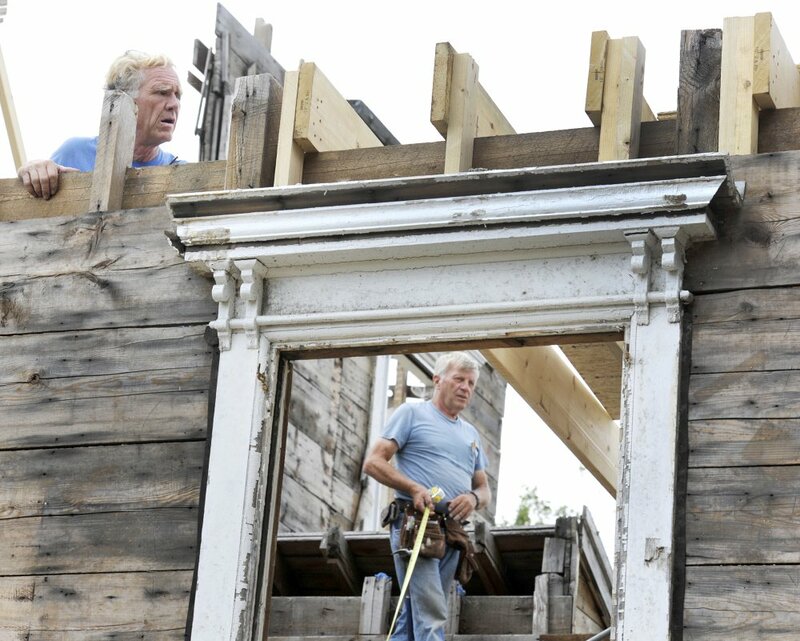 The Victorian-era house trucked in several pieces from Skowhegan is being reconstituted on the Charles E. Jordan Road. 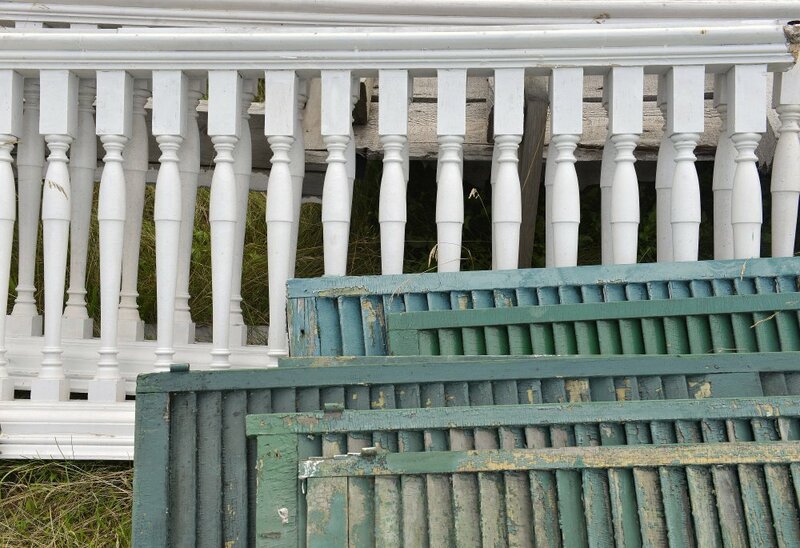 The code enforcement officer in Cape Elizabeth says it’s going to be interesting when it comes time to inspect a reassembled Victorian mansion moved in pieces in October from Skowhegan to that southern Maine town. 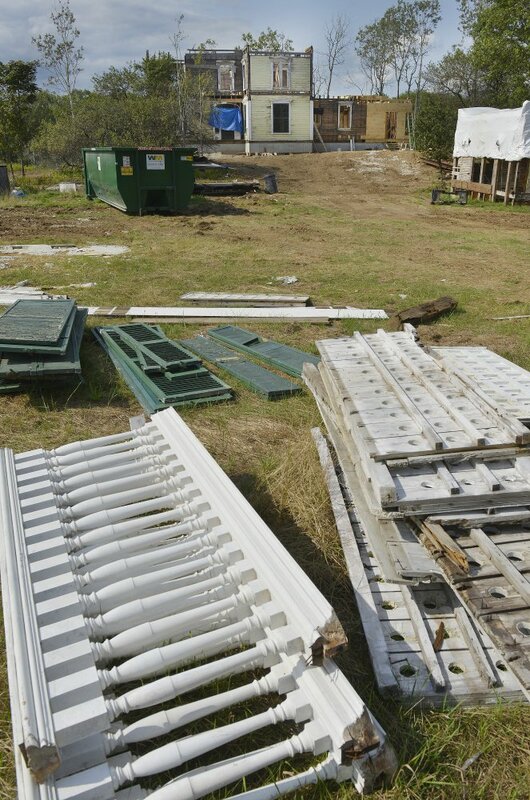 Benjamin McDougal said Friday he has seen homes moved before, but not one moved in several pieces. “I don’t know what it looked like prior,” McDougal said by phone Friday. “It’s going to be very interesting to inspect it. It’s going to be one of those things that I go look at and try to make sense of everything that’s there and look at how they reattached everything and look at how they’re supporting everything. 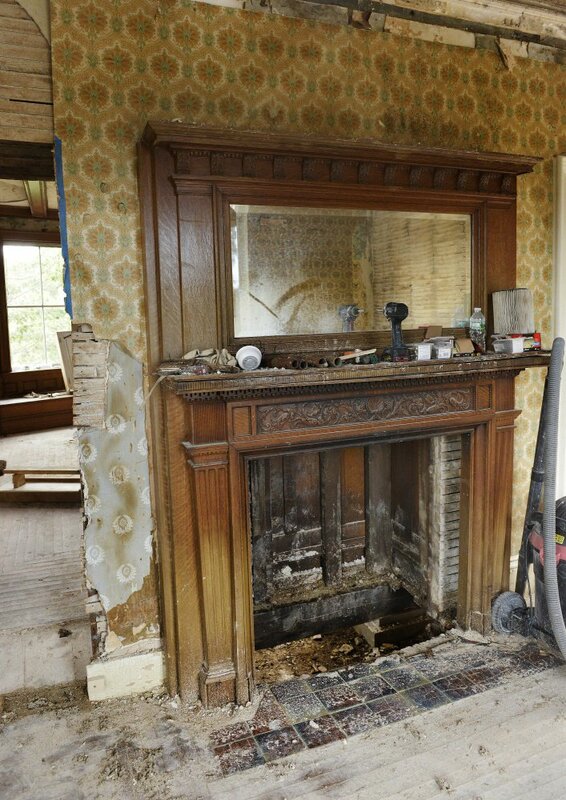 Andy Bowman and his wife, Rachel Lomas, of Austin, Texas, purchased the 166-year-old house in August 2016 from the previous owner, Joy Hikel, who had acquired it in 1995. 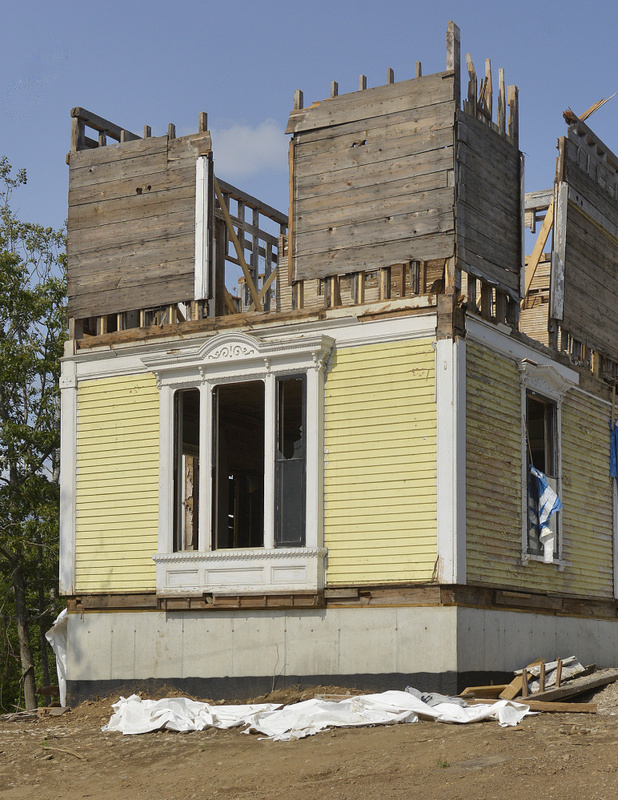 The 14-room Victorian home, built in 1850 at the corner of Coburn Avenue and Pleasant Street in Skowhegan, was taken apart, piece by numbered piece, to be reassembled in Cape Elizabeth. 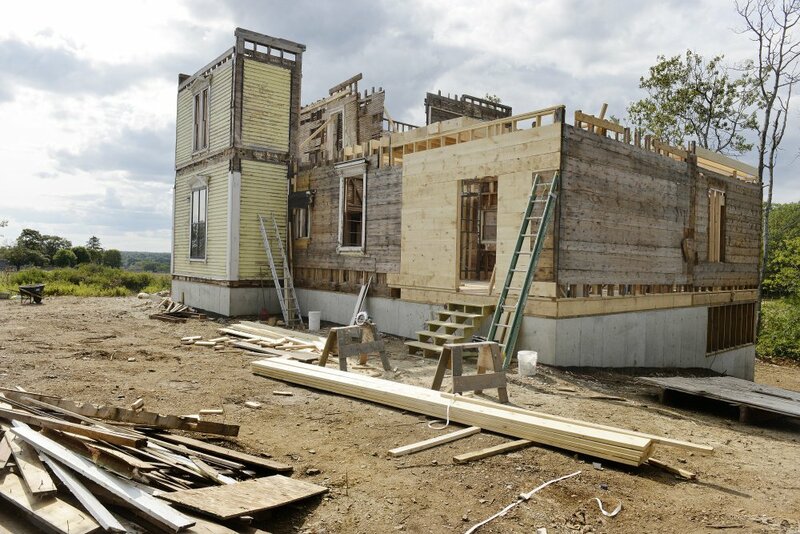 Workers are reassembling a Victorian-era mansion that was moved in pieces to Cape Elizabeth from Skowhegan. Bowman, 48, who has worked in solar and wind power and renewable energy for the past 20 years and is writing a book on the subject, said he and his wife saw the house listed for sale on the internet and began to make inquiries. They liked what they saw. 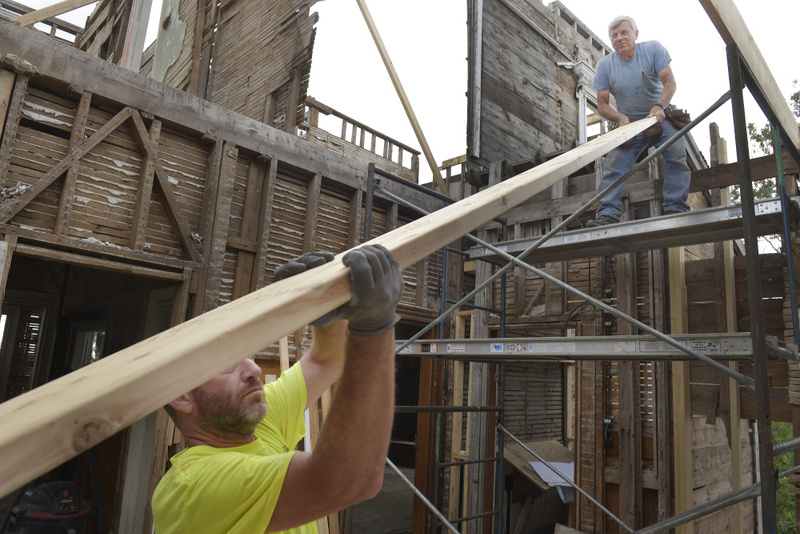 When they visited Skowhegan, they decided it was going to be less expensive to move an old house 100 miles south than it would be to build a new one. Bowman said his father was born in Portland and his grandmother lived at nearby Higgins Beach, where he spent summers growing up and more recently has spent time there with his children. Bowman could not be reached for comment this month on the progress of the reassembly. 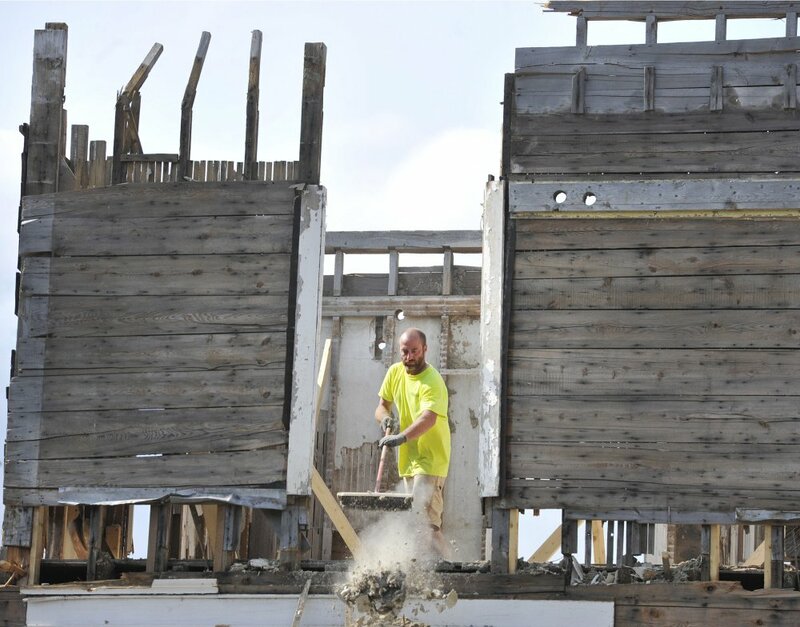 McDougal, in Cape Elizabeth, said the last time he made an official visit to the building site on Charles E. Jordan Road was to inspect the foundation. That was six or eight months ago. 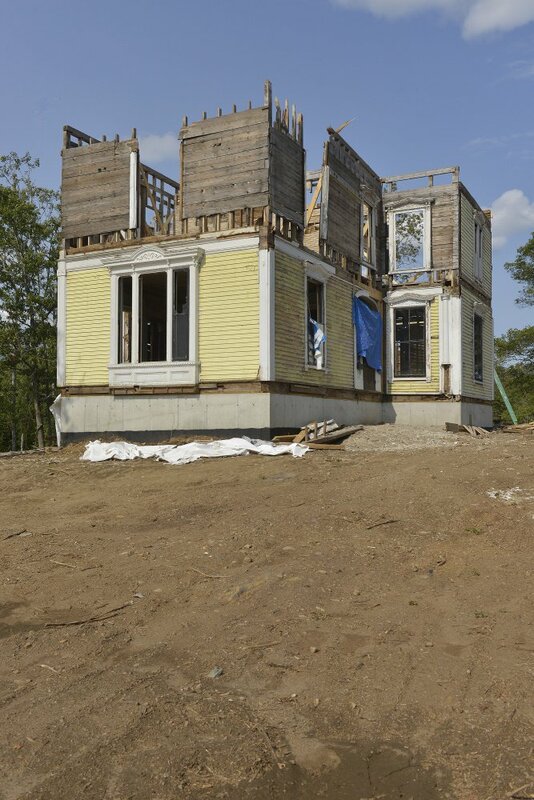 This Victorian-era mansion was dismantled and moved from Skowhegan to Cape Elizabeth. 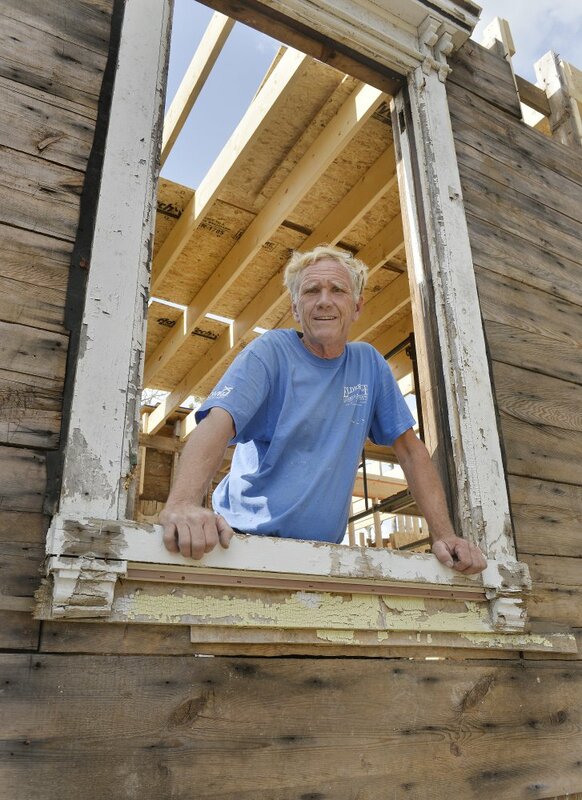 He said the lot where the house is being reassembled was wooded and is surrounded by farmland, about a quarter-mile from the ocean. 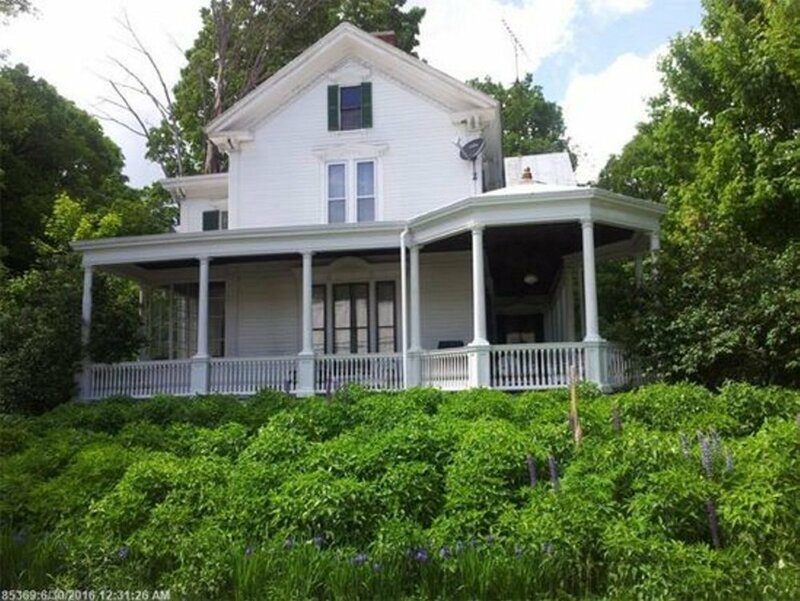 The house has three bedrooms, three baths, hardwood flooring, plaster walls and a pre-Civil War wrap-around porch, and was valued for taxation at $192,800, according to Skowhegan assessing records. 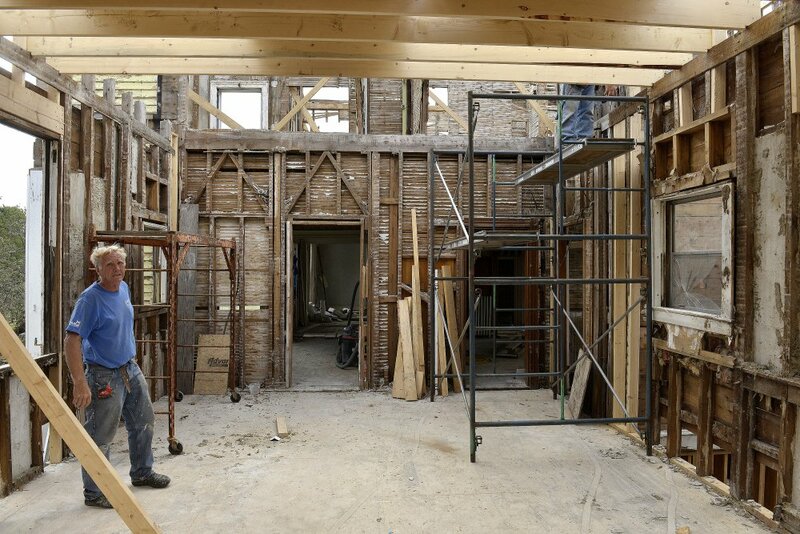 The house was to be moved by flatbed truck in six or eight pieces, starting with the top floor of the two-story house, which was cut and lifted by crane onto a truck, Chris Chase, of Chase Building Movers Inc., said at the job site in October. Chase said Bowman and his wife liked the house, which has ornate architecture and fancy molding and trim work, wide windows and doors, a grand staircase, chandeliers and an oak mantel over a fireplace. 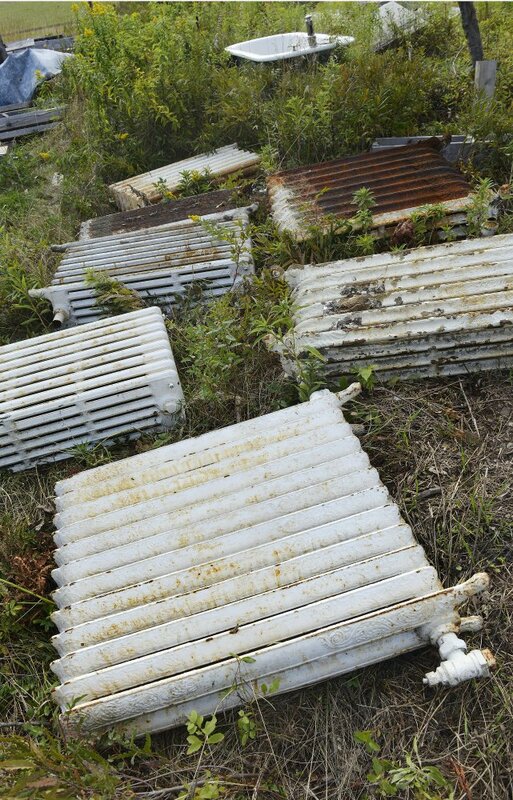 In a recent interview at the Skowhegan site, where he was finishing up some ground work, Chase said there have been some delays in reassembling the house in Cape Elizabeth. He said the final assembly probably won’t happen until next year. The Skowhegan site on Friday was bare, save for some scattered red bricks and chunks of cement. The garage from the old house is still standing and some old beams and a couple of oil tanks were stacked nearby. Randy Gray, Skowhegan’s code enforcement officer, said Friday that the oil tanks have been inspected and are clean and dry. He said Chase has finished filling in the foundation and grading the lot for possible resale.